As a family-run business, we pride ourselves on our quality workmanship and glass expertise. 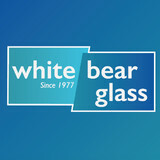 White Bear Glass offers a wide range of product that will beautify your home, office or business. We are a full-service and fully insured glass company that provides residential and commercial glass products, services and repairs in the Twin Cities area. For more than 21 years, our team has prided itself on delivering a superior level of customer service. We have been doing business with homeowners and contractors alike since the beginning, and boast an exceptional track record in the community. 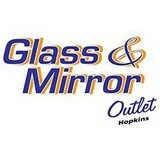 Glass & Mirror Outlet, Inc. has been serving the greater Twin Cities Metro Area since 1994. We operate our family owned and operated business out of a 6,000 square-foot showroom and workshop conveniently located in Hopkins just west of 169 on Excelsior Blvd. 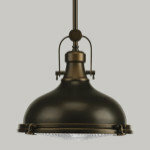 Homeowners and contractors visit our showroom to view a wide range of products made and sold right in our workshop. In addition to a wide range of glass and mirror products, we also offer varied installation services. We are one of only a few shops to bevel glass in-house, and we have the ability to custom fabricate glass products. We are honored to work with clients on special projects, both big and small. Make us a part of the planning process by taking advantage of a free estimate from one of the professionals on staff. Indianhead Glass has been providing glass solutions in Wisconsin and Minnesota since 1981. With offices in St. Croix Falls , New Richmond, and Hudson , WI we welcome the opportunity to serve all of your glass needs. Our specialties include unique, stunning showers, mirrors, decorative glass, windows, commercial glazing, and so much more. We also replace and repair auto glass. We have earned a reputation of excellence in our people, our products, and our service. Our professional staff and loyal customers are our greatest assets. 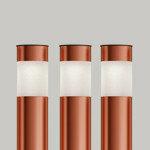 You can depend on our knowledgeable team to help with whatever your glass needs are. Leave the details to us and you’ll find out why we are “ The Clear Choice” when it comes to glass. Hopkins Glass and shower door LLC is a full service glass company with a SHOWROOM that is located in Hopkins MN. Our focus is on sales and installation of custom glass, mirrors, storefront doors, frameless glass shower doors and shower enclosures, glass replacement in windows and doors and more. We pride ourselves in knowing all things about all types of glass. Whether you are in need of a shower door, glass table top, custom cut mirror or broken/cracked glass replacement we are sure to have an affordable solution for your home or commercial business. Utilizing cutting-edge technology, we ensure that you get only flawless products. Moreover, we strive to provide impeccable service within the stipulated time to our residential, commercial as well as industrial customers. SEE OUR IDEABOOKS ABOVE. Complete Custom Frameless Shower Door Design & Installation. 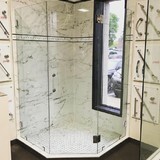 The Shower Door Place designs and manufactures a complete line of heavy glass, frameless shower enclosures ranging from standard tub slider units to custom multi-panel walk-in units. Our shower enclosures are all manufactured from heavy glass (3/8" or 1/2"), and can be clear, tinted, textured or patterned design. The shower enclosures shown on our website, are but a few of the high quality installations completed by our affiliate stores, and are highly representative of the work we do. Installed with great precision using the finest materials available, our frameless, heavy glass enclosures become the pride of your bathroom. Glass. 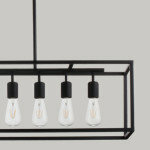 Simple yet elegant, it catches the light, reflects your image, adds style to your space. Whether you want to install a frameless shower, add a custom mirror, repair glass items or replace a glass tabletop, we are your ONE-call crew! Serving home and business owners, we offer complete glass services including 24/7 emergency service. We mainly do services for residential homes, but we also work with commercial builders on new-home construction. We offer specials for first-time customers and we give free estimates on any project. Call today! We love making a home come together and giving it the finishing touch! At Glass and Mirror Outlet we can customize all your glass, mirror and shower enclosure needs. We have the largest glass and mirror showroom in the Twin Cities and all of your custom work is handled by Glass & Mirror Outlet's employees. Estimates : Measure: Fabricate and Installation. Heartland Glass was started in 1980 by Ray Schueller, Mal Patton and Jim Scherer who all worked together at St. Cloud Glass before branching out on their own. Ten years later, in 1990, Heartland Glass was acquired by Brin Northwestern Glass Company, a nearly century-old glass manufacturer in Minneapolis, and Bill Sullivan was brought in as the manager. Being part of a larger company allowed Heartland Glass to negotiate optimal pricing from vendors permitting them to become much more competitive. As a result, Heartland Glass experienced tremendous growth and was established as one of the leading glazing contractors in the region. In 2007 Bill Sullivan bought out Brin Northwestern Glass and became the sole owner. Five years later, on July 1, 2013, Heartland Glass officially re-merged with Brin Northwestern Glass Company in order to provide expanded opportunities for both customers and employees. "Employees from both companies know each other well and we share the same core values," Bill said. The company has become an Employee Stock Ownership Plan (ESOP) which benefits employees now and going into the future, and Bill Sullivan currently maintains positions both at Heartland Glass as President and Brin as Executive Vice President. Glass and Mirror, Inc. is Minnesota's glass and mirror expert, serving Minneapolis, St. Paul, and the greater Twin Cities Metro Area for over 30 years. Glass and Mirror, Inc. specializes in: custom glass shower doors, glass shower enclosures, custom cut glass mirrors, window glass replacement, as well as commercial glass and glazing. We are dedicated to providing excellent products and service to our customers for all of their glass and mirror needs. Customer Satisfaction is our main priority. Contact us with your glass shower door, mirror, window glass replacement, custom-cut glass or commercial glass needs. Call us today at (763) 784-1705 for a free estimate. We look forward to working with you! 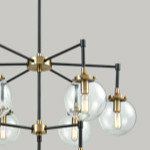 orth Star Glass Industries is a custom glass company. We serve the Minneapolis, MN area, and serve the surrounding communities. Are you remodeling your home and looking for everything from stained glass to shower doors? Look no further than North Star Glass Industries to customize a piece of glasswork for you today. We take pride in being Minnesota's premier glass manufacturer. North Star Glass Industries is known for its reflections on quality, and serving customers for over 40 years. Let our years of experience and expertise work for you. Travis Stevens Decorative Glass, LLC is here to help to fulfill all of your custom glass needs including frame less shower enclosures, mirrors, stained and leaded glass, custom back painted back splashes for kitchens, vanities and shower surrounds, sandblasting, a full line of pattern glass, cabinet glass, shelving, room dividers, and stair rails. What can a local Blaine glass company help me with? If it’s a major home glass repair or replacement, the Blaine glass company should work directly with your insurance company to help bring down costs for you, if applicable. Find Blaine glass companies on Houzz. Narrow your search in the Professionals section of the website to local glass, mirror and shower door services in Blaine, MN and read reviews and ratings to find one that fits your needs.